Over the last couple of years, different hangover cures have been discovered. To some people, some of these hangover cures are fast and efficient. To others, they are slow and take a while before work. All this is due to the difference in genetics, metabolic rate, body mass, and a list of other factors. There are different fast cures for hangover which may not apply to everyone. 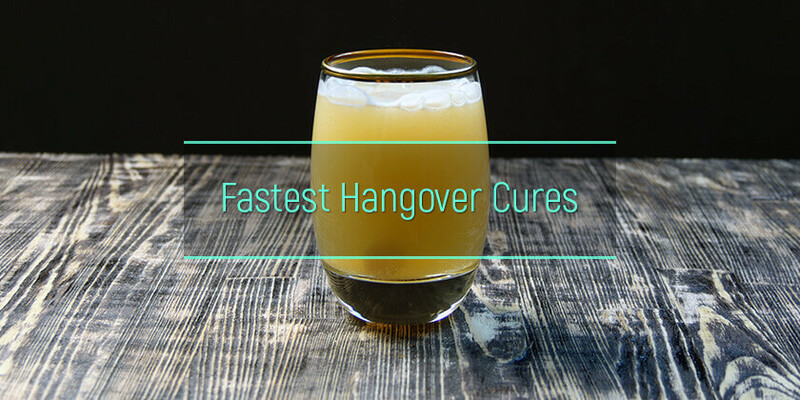 In this article, readers would learn about how to cure a hangover and the fastest hangover cures that can help eradicate crapulence within a short period. Will taking a shower help with a hangover? What to eat to cure a hangover fast? Will drinking water speed up the process? Do sports drinks help with veisalgia quickly? Is IV drip a fast way to manage hangovers? Do hangover shots work fast? Will the hair of the dog help recover quickly? Do NSAIDs provide instant hangover relief? All these benefits help to downplay the severity of crapulence fast. Major symptoms like depression, nausea, headache, and sweating are greatly minimized. To a crapulence patient, having a shower might seem less important or irrelevant, but it does wonders. Most people see this method as the best thing for a hangover due to its effectiveness and speed. Food is another fast way to recover from a hangover. There is a list of foods that help cure crapulence in a fast manner. These foods must be rich in amino acids, cysteine, potassium, magnesium, vitamins, iron, etc. Listed below are ways food help in curing crapulence fast. Nutrition can be said to be a process that serves two purposes; provision of energy and maintenance of body functions. When a person is experiencing crapulence, there is a deficiency of nutrients such as vitamin B1(thiamine), folate, vitamin B12, calcium, and protein. To tackle this, the patient is advised to eat foods that help replenish lost nutrients. What to eat for treating a hangover is food rich in proteins, vitamins, folic acid, potassium, calcium, and iron. Good nutrition is essential for providing energy and maintaining body function. When crapulence symptoms are allowed to linger for a long period without food, it tends to increase the risk of liver damage and pancreatitis. The best hangover drink is water. Drinking water helps to reduce dehydration gotten as a result of crapulence. Alcohol consumption results in excess dehydration, thereby exaggerating the symptoms of crapulence. In essence, the higher the intake of water during crapulence, the smaller are the symptoms of crapulence. This helps relieve the alcohol after effects the next morning. Excess intake of water improves the mental capacity and flush out wasted toxins. Sports drinks is another fast way to cure crapulence. Most sports drinks contain electrolytes such as sodium, calcium, potassium, etc. which are deficient during crapulence. These drinks are very easy to digest and produce very fast results. However, not all sports drinks should be used to cure crapulence due to the high amount of caffeine which results in excess dehydration. IV bags for hangovers is a medical treatment used to cure severe crapulence symptoms fast by replenishing the deficient fluids, vitamins, and electrolytes. Drip hydration’ hangover IV treatment is one of the quickest cure of crapulence symptoms. Within 30-60 minutes, iv drips rehydrate, cleanse, and restore lost nutrients in the body. The IV fluids contain sodium ions, potassium ions, magnesium ion, calcium salts and also intravenous vitamins like vitamin A, D, E and K. All these help in restoring lost electrolytes, detoxifying the liver, controlling stress, and providing energy to the body. There are also IV analgesics, antiemetic and sedatives used to induce sleep. The use of antiemetics such as promethazine is the best way on how to get rid of hangover nausea fast. Hangover shot is also another fast way to cure crapulence. These shots neutralize waste toxins in the body, treating major after-effect symptoms of alcohol. Most hangover shots contain anti-inflammatory and antioxidants which plays a major role in minimizing a hangover. Additionally, shot that stops hangover also help in replenishing lost electrolytes lost during crapulence. 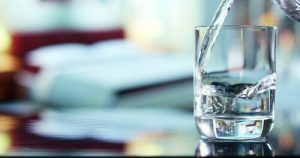 Maintaining the electrolyte balance is important, especially in the course of excessive urination, vomiting, and diarrhea. Hair Of The Dog: Is Is Quick And Safe? The “hair of the dog” hangover treatment is another fast crapulence cure that aims at relieving unpleasant symptoms like dehydration, upset stomach, and fatigue. Even though there are no valid proofs to back the efficiency of this method, few theories exist as to why it helps reduce the intensity of a hangover. The whole concept behind this treatment method is that patients experiencing hangover should consume more alcohol to get rid of a crapulence. According to the method, drinking more alcohol leads to an increased accumulation of alcoholic contents in the body—which slows down the breakdown of compounds responsible for a hangover. Additionally, it boasts the presence of endorphins which help mask uncomfortable crapulence symptoms. Though this method has been known to halt hangover symptoms in some people, it is not a recommended method to cure crapulence. Non-steroidal anti-inflammatory drugs are widely used to relieve pain, reduce inflammation, and lower high body temperature during a veisalgia. Get rid of a hangover headache fast with anti-inflammatory drugs like ibuprofen, aspirin, naproxen, etc. However, the NSAIDs shall be used with caution. They have a range of dangerous side effects that might be intensifyed by alcohol in stomach. The most dangerous is acetaminophen. Taking acetaminophen and alcohol together increases the risk of stomach bleeding and liver damage. According to reports, there is no scientific evidence to back most of the so-called hangover cures available. Instead, what most crapulence cures do is to address some specific hangover symptoms like vomiting, headache, nausea and a list of others. Once this happens, the severity of a hangover is greatly reduced but not entirely cured. Other symptoms remain active. However, there have been hangover cures which showed positive effects. Moderate the number of alcoholic drinks consumed. Don’t rush the drinks—take them slowly. Drink enough water after consuming alcohol. Avoid dark-colored drinks like bourbon, brandy— They contain a high amount of congeners. Pay attention to the signs of alcohol addiction. If a person experiences hangovers so oftent that it affects the social and personal life, ask for the professional help of an alcohol rehabilitation clinic. Although prevention is the best cure, it is still possible to treat alcoholism.